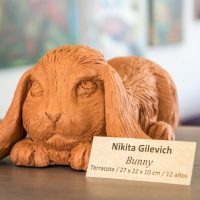 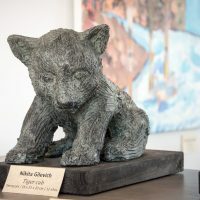 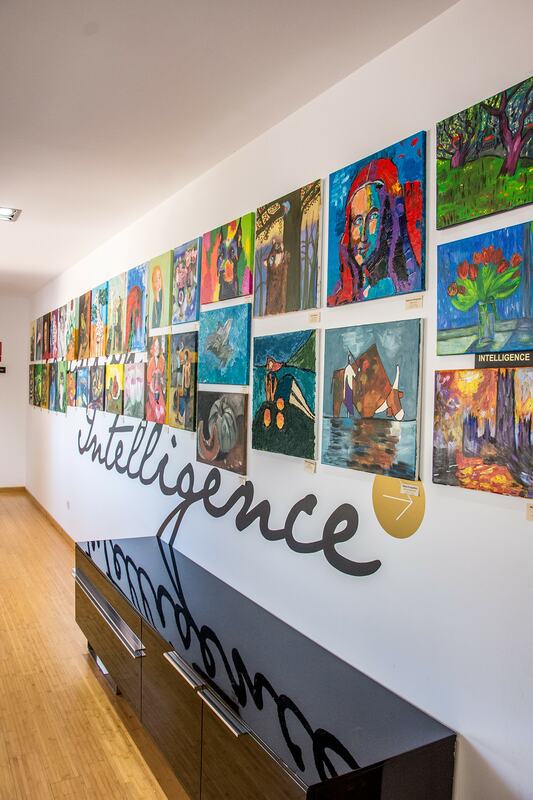 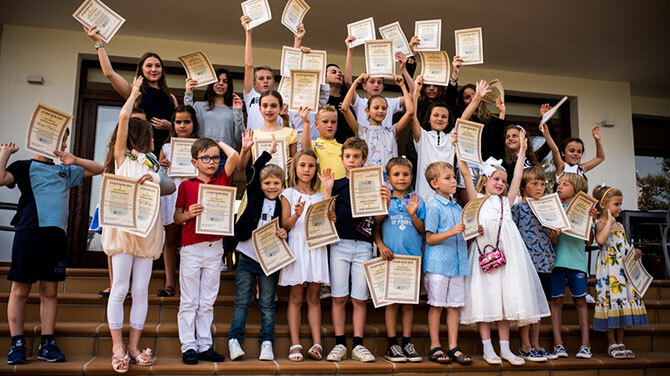 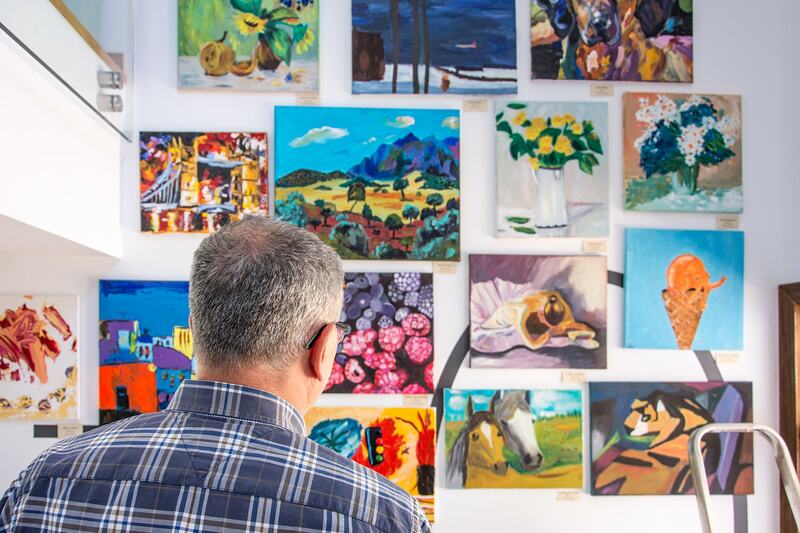 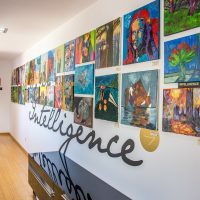 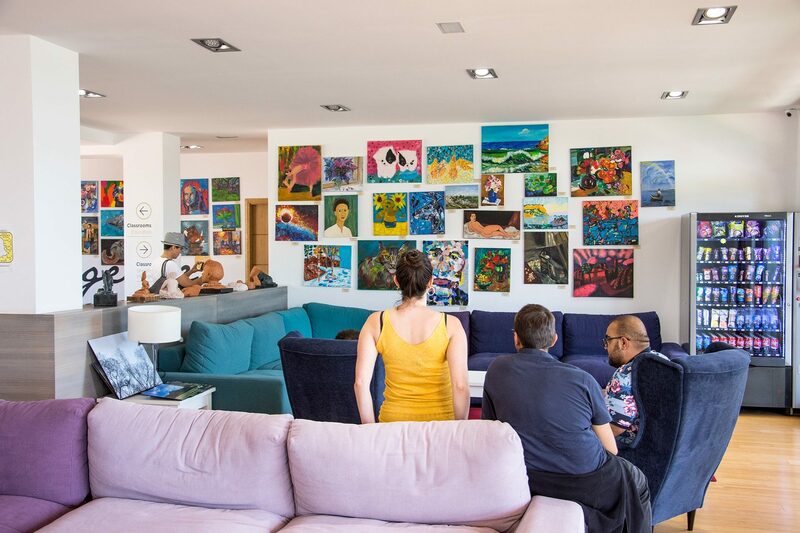 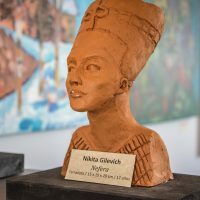 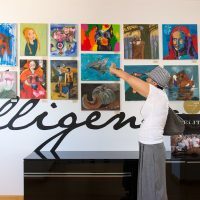 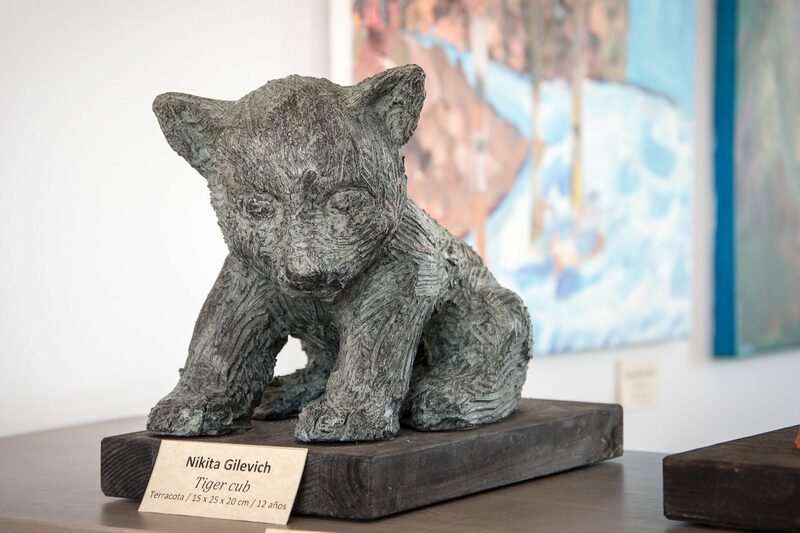 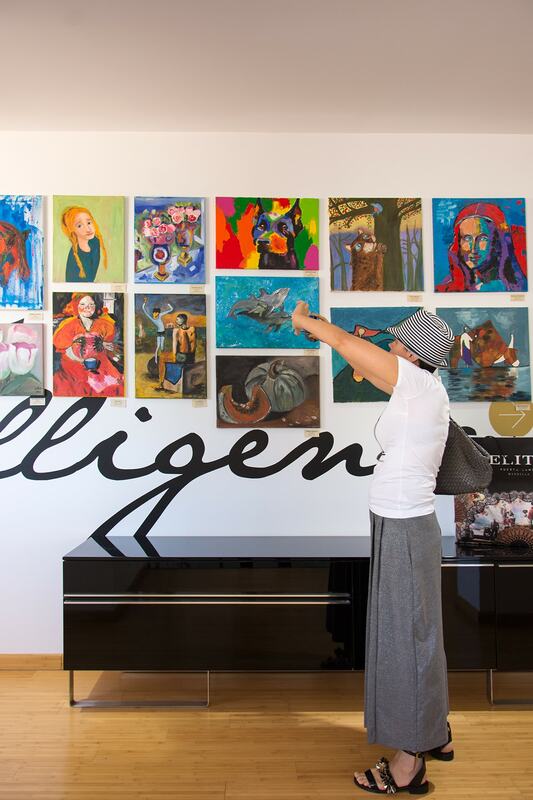 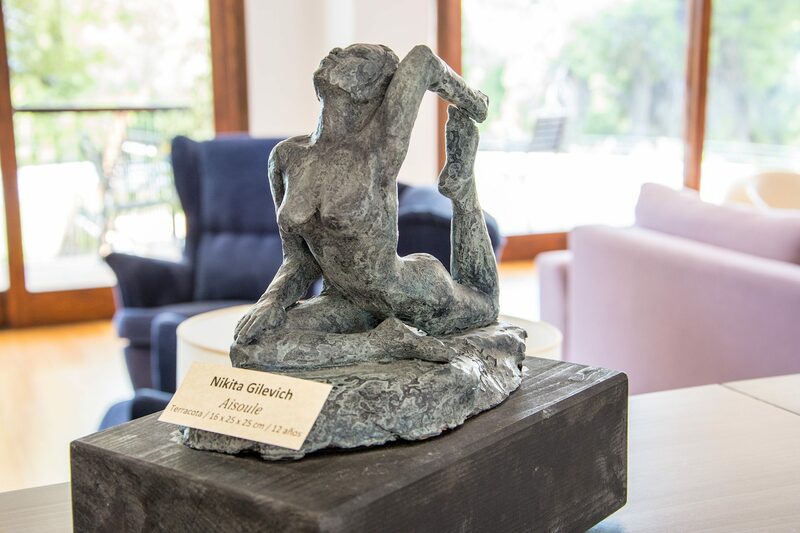 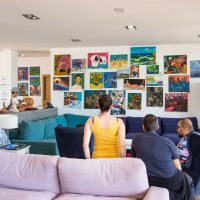 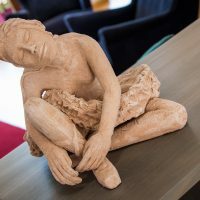 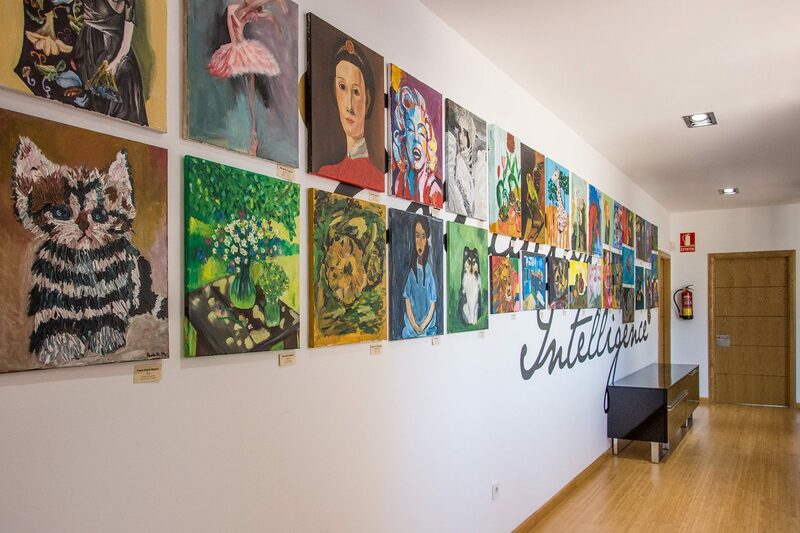 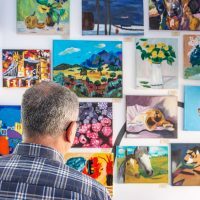 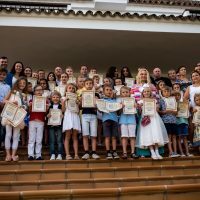 MIUC ´s Marbella Campus rang with the silvery laughter of young, talented and budding art enthusiasts, as they arrived in eager groups to celebrate the Russian traditional Children´s Day with a vernissage of their own works hosted in the University´s lobby. 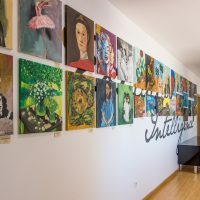 The well-attended event was opened with speeches made by 16-year-old Liza Ruleva, who led us all in a minute of silence, by the art academy´s director Oksana Kuzmenko, followed by a warm welcome by MIUC´s Chief Academic Officer, Mirjana Stevanovic, explaining the courses on offer at the University, and mentioning MIUC´s strategic partnerships with several renowned institutes, including the prestigious Moscow State Institute of International Relations. 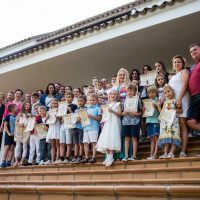 The audience was delighted when tiny 7-years-old fairy princess Ekaterina Morgunova, clad in a white satin party dress with matching white bow in her hair, asked to have a chance to personally thank her instructor for her care and guidance over the past year. 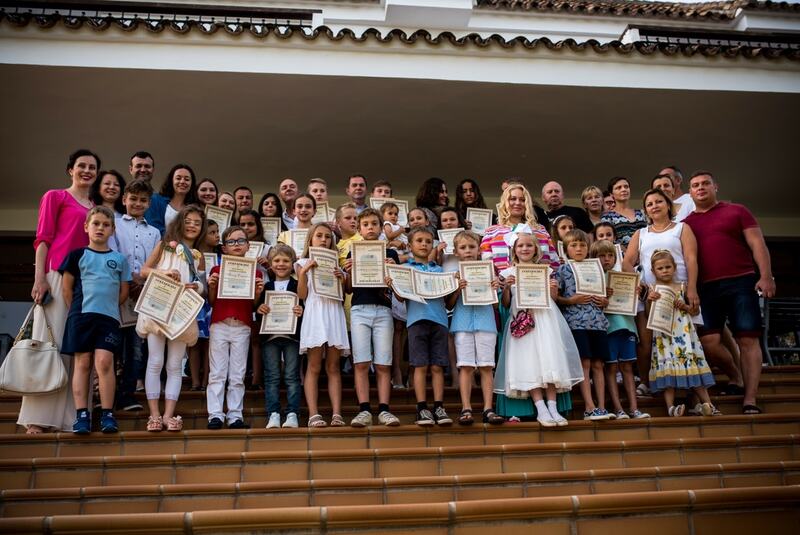 All the students were awarded certificates by MIUC´s President, with a few of the shining stars receiving special recognition for artistic excellence. 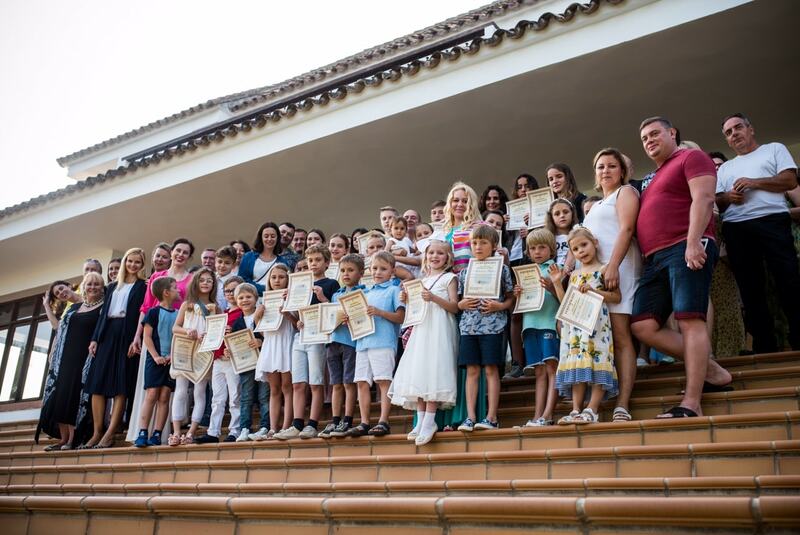 Some of the small guests were interviewed live and the event made front-page news of the El Sur newspaper. 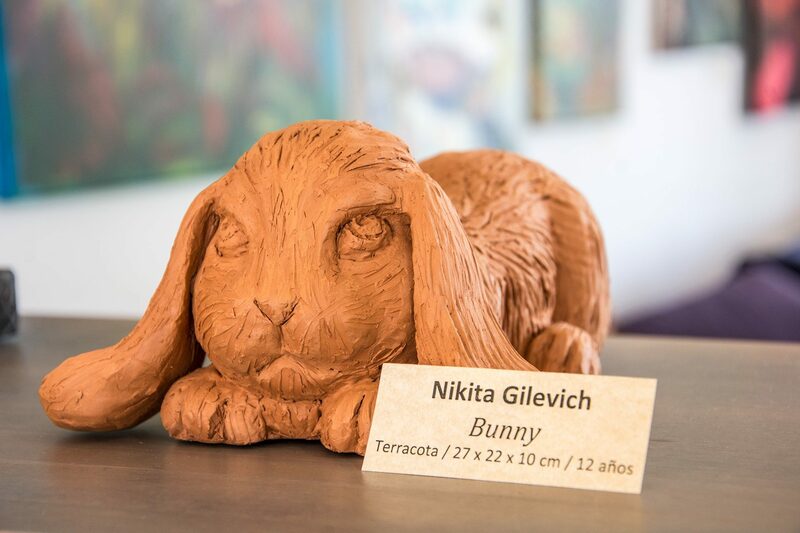 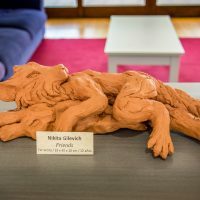 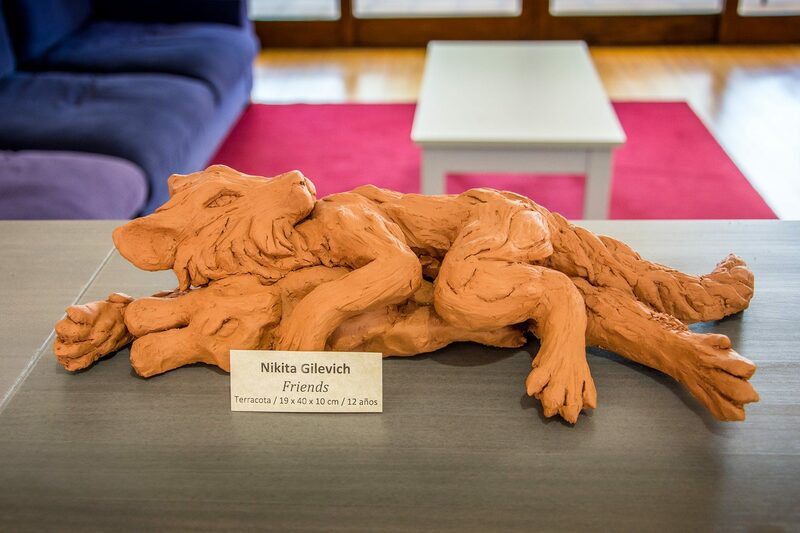 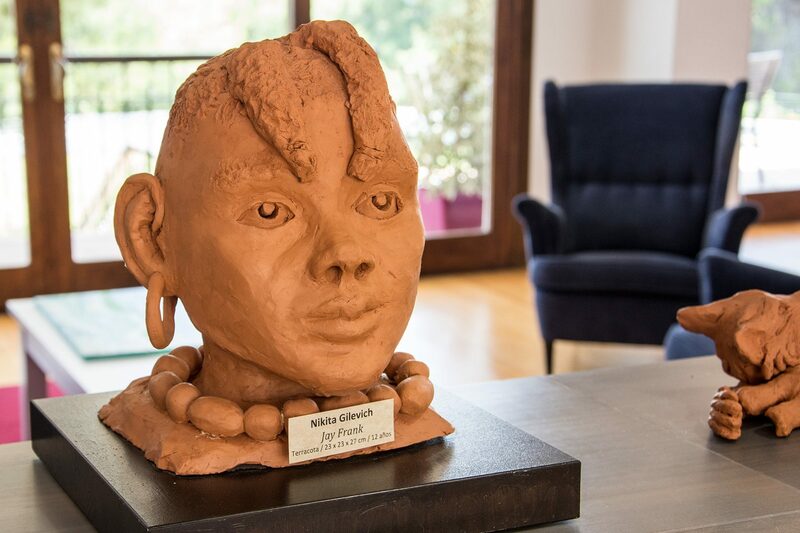 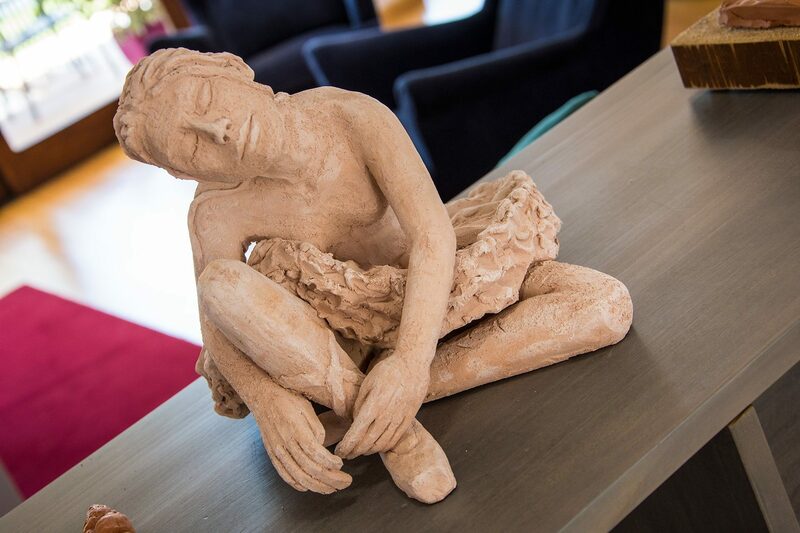 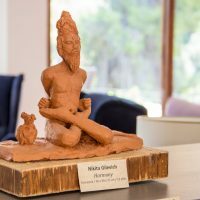 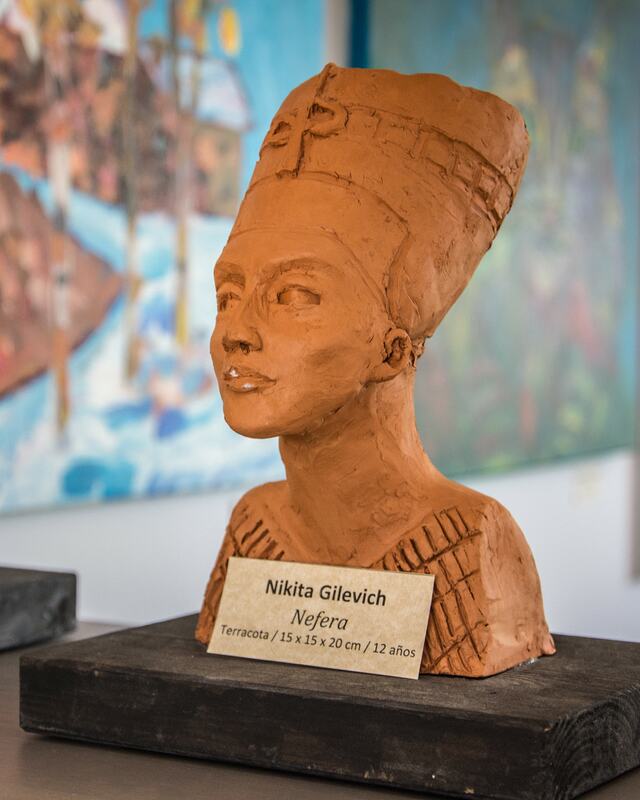 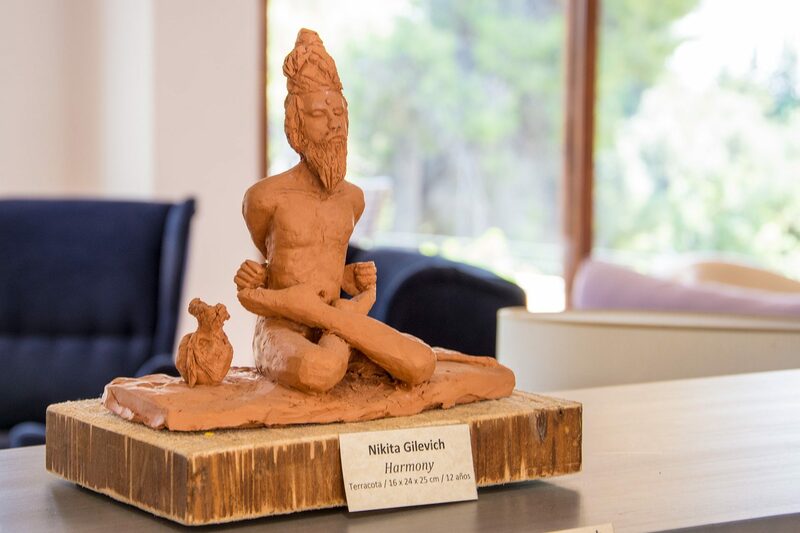 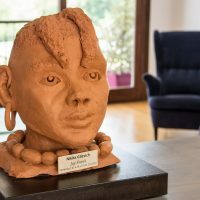 MIUC looks forward to receiving some of these small painters and sculptors on campus – in about 5 years!